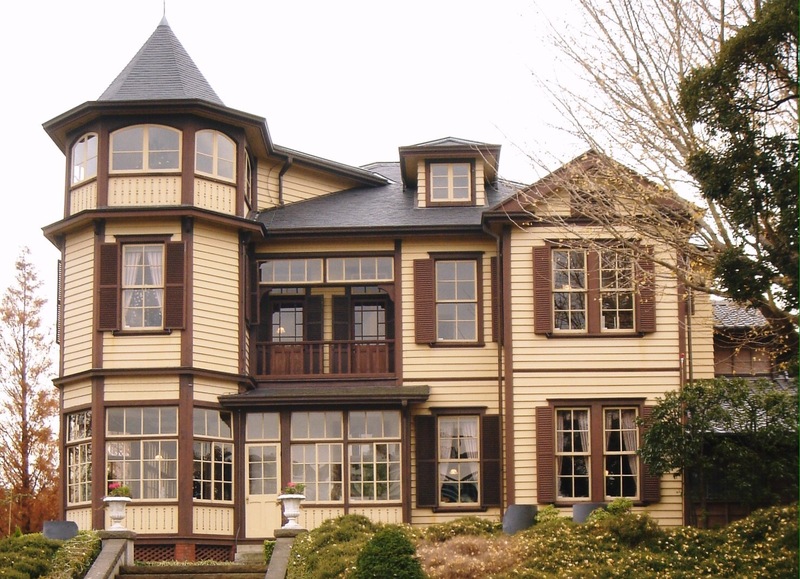 Many lovely Western homes, built in the early 1900’s, can be found in the Yamate area of Yokohama. Some have been converted into museums and cafes. 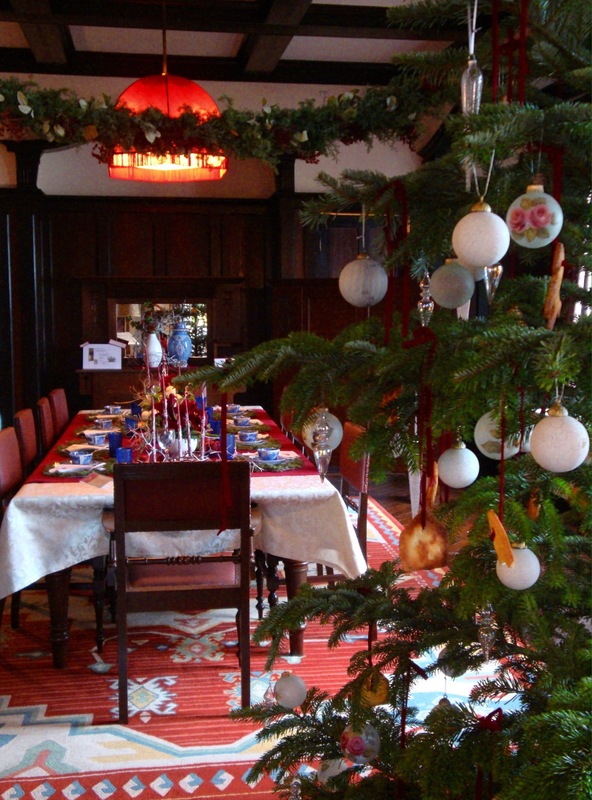 Seven historic homes are now owned by the government and are open to the public, free of charge. 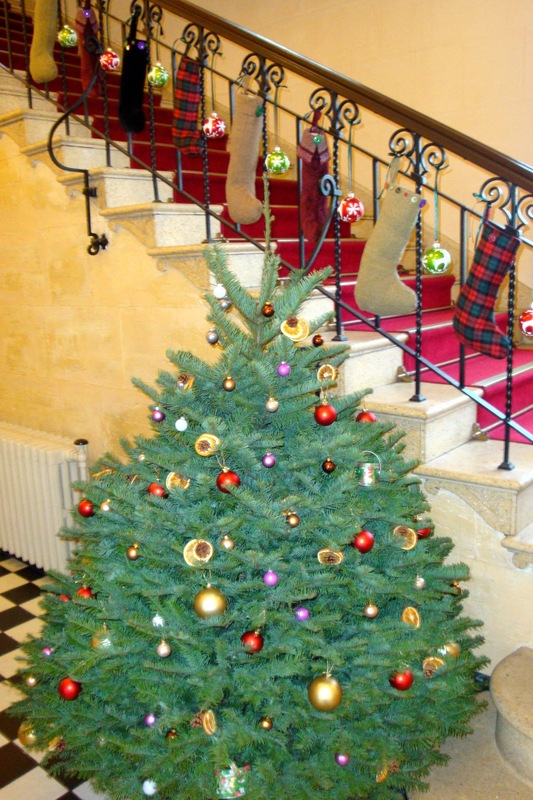 Although they can be explored year-round, the best time to visit is between December 1 and December 25, when they are decorated for the Christmas holidays with each representing a different country. The countries change from year to year, and the displays are sometimes quite unique. 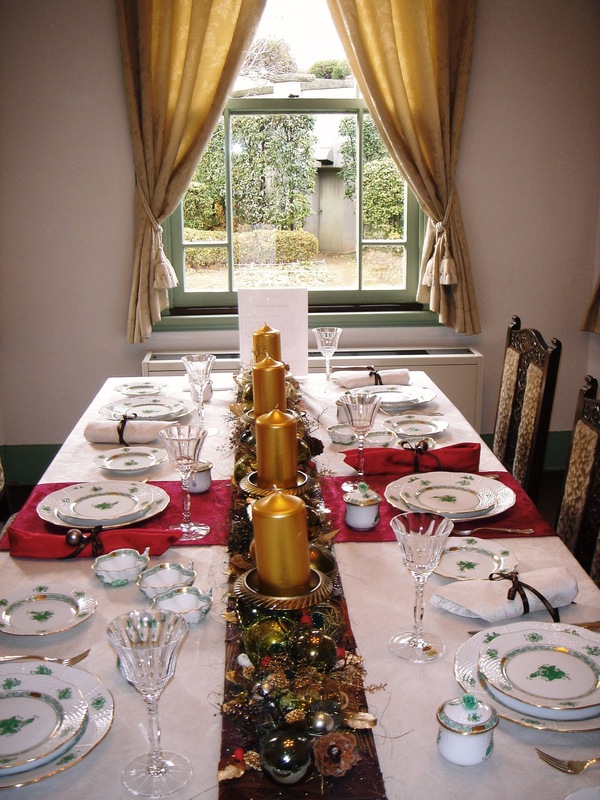 The focus is on tableware, and the decorators often create an image of what they ‘think’ a country’s Christmas might look like. 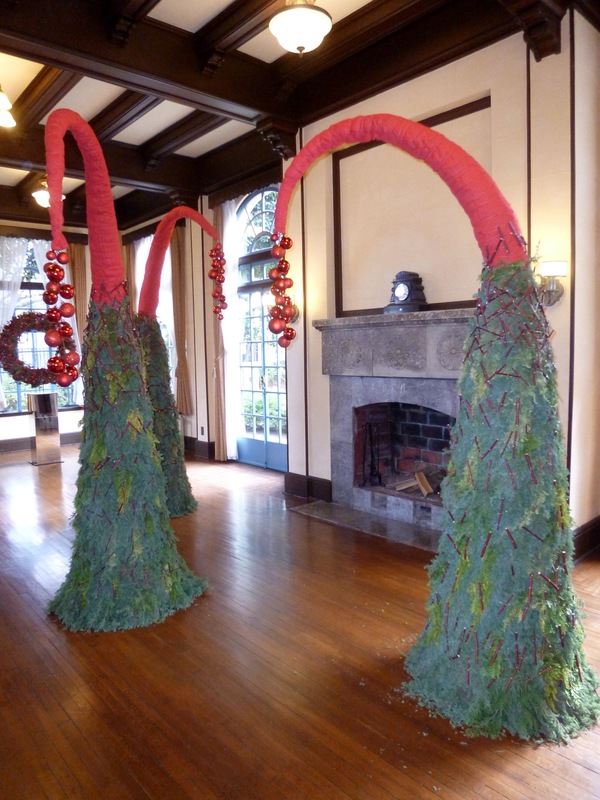 Although not necessarily authentic, the displays are always lovely and they do put visitors in the Christmas mood. It is best to start at Motomachi-Chukagai Station. Head toward Motomachi Exit #5. As you exit the station, there will be a highway in front of you (over a concreted river). Turn right and walk straight to the park in front of you on the right. Enter the park and walk up through it to the Minato-no-Mieru Oka Koen (Harbor View Hill Park) observation area. 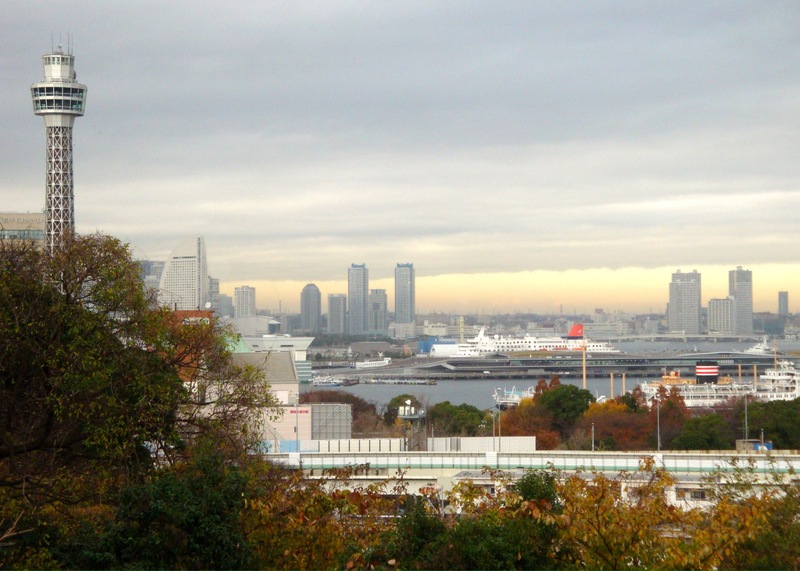 There are great views of the Yokohama Bay from here. In this park is a small rose garden and Home #1, called the British House. 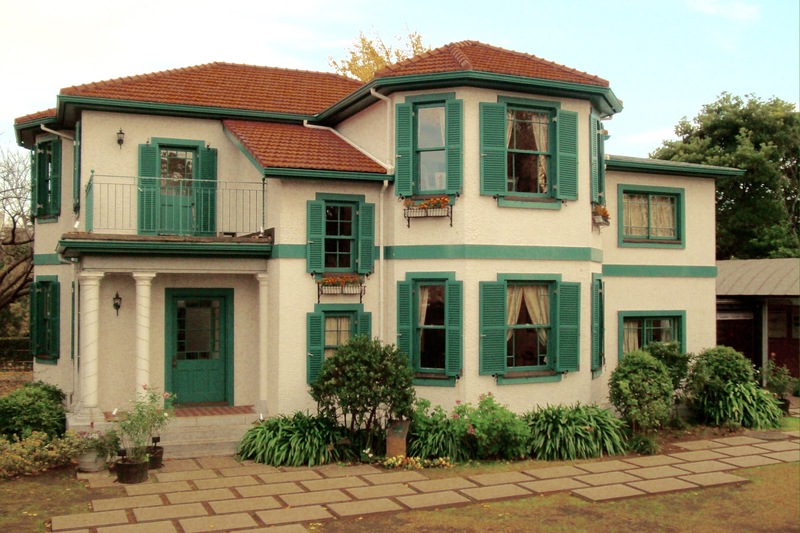 It is a large, colonial-style residence built in 1937. It was the former residence of the British Consul General (home not pictured). Also in this park is home #2, the Yamate 111 Bankan. It is a smaller, Spanish-style home designed by J.H. Morgan. It was built in 1926 as the home of an American businessman, Thomas M. Laffin. Cafe the Rose, is hidden in the back of this home. There are also two small museums in this park, the Kanagawa Museum of Modern Literature & the Jiro Osaragi Museum. However, unless you can read Japanese, it is not worth visiting either one. After touring the two homes, make your way back to the front of the park. From the entrance at the top of the hill, cross the street (a police box will be on your right) and walk along the street in front of you. On your left will be the Iwasaki Museum, with rotating exhibits dedicated to art & fashion. 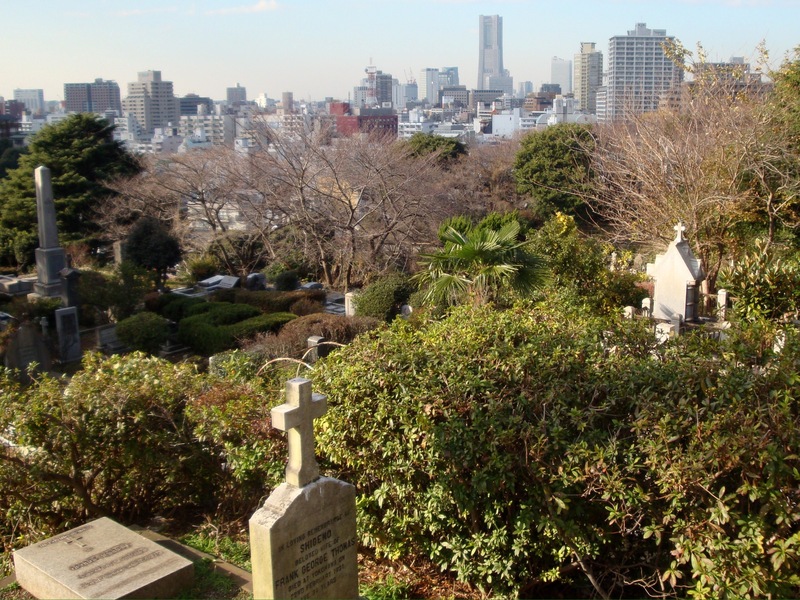 Continue straight and enter the gates to the Yokohama Foreign Cemetery. There is an excellent free mini-museum within the building on the left. Visitors cannot enter the cemetery itself, except when volunteers run short tours on Saturdays and Sundays. Exit the cemetery and turn right onto Yamatehon-dori. Keep the cemetery on your right side. If it is around lunchtime, stop for a tasty French lunch across the street in the restaurant, Yamate Jyubankan. They also offer a selection of desserts & drinks. Just a few buildings down is the Yamate Museum. 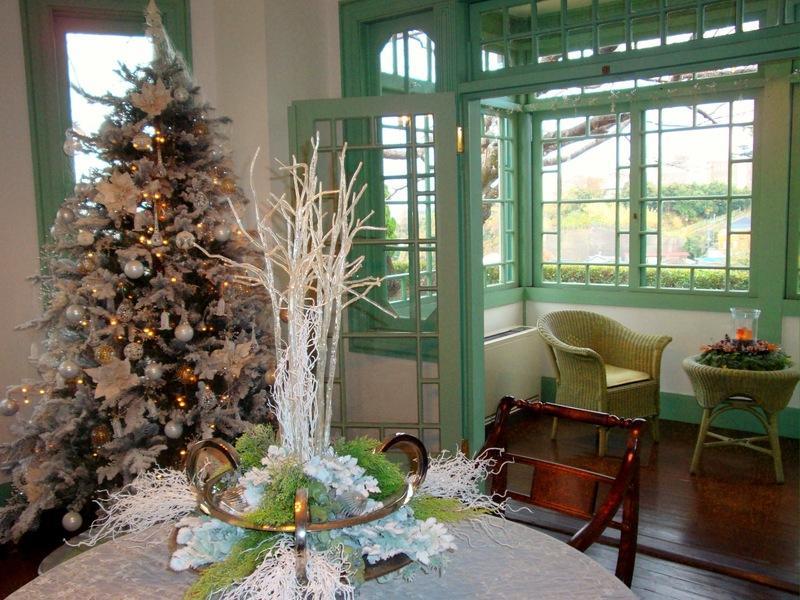 Built in 1909, it is the only remaining wooden Western-style building in Yokohama and is filled with interesting artifacts & photos showcasing the late 19th century lifestyle of Westerners who lived in this area (article’s main photo). 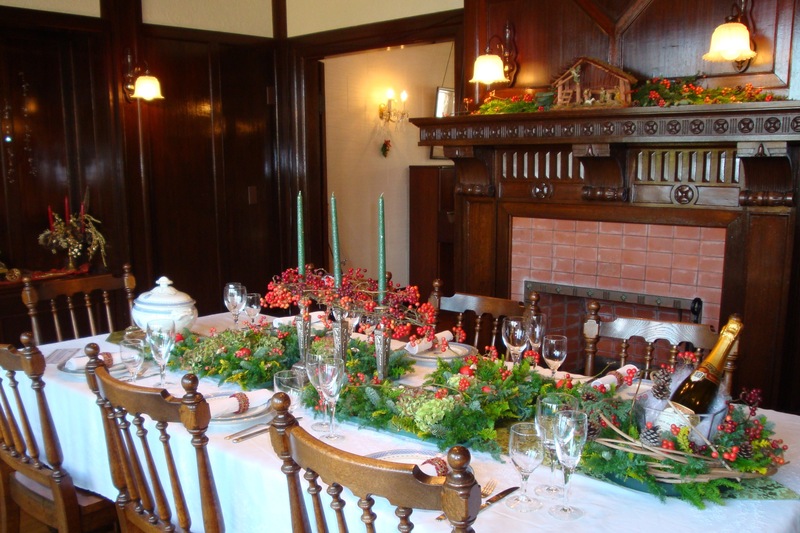 Just after the Yamate Museum is the Yokohama Christ Church, which has an English-speaking congregation and services. If you’d like to visit other mini-museums, down the road between the church and the Yamate Museum is a Tin Toy Museum & Christmas Toy Shop. Across the street from the toys is the Merry Art Museum, which often holds rather exotic exhibits. Just after the church, also on the left, is home #3, Yamate 234 Bankan. Originally built in 1927 as an upscale apartment building for foreign residents, it was later remodeled into a single residence (not pictured). 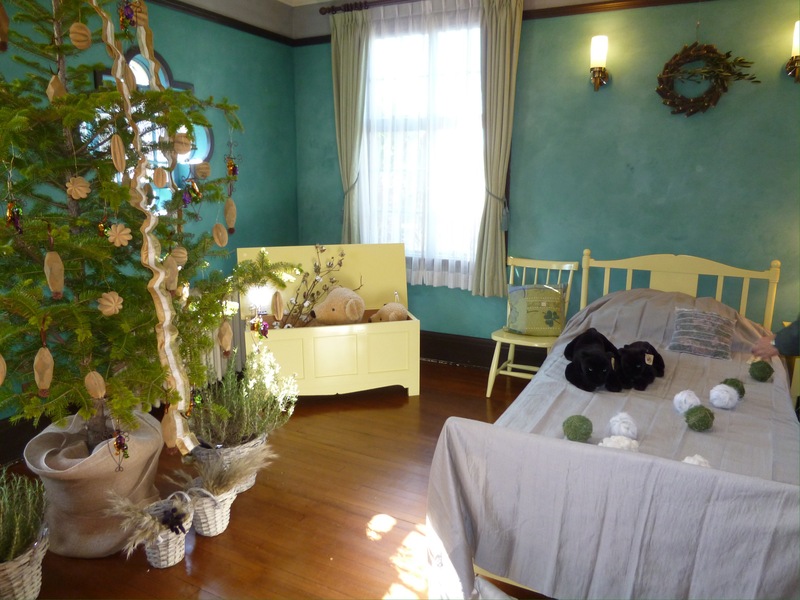 Next door is Enokitei, a lovely cafe in another historic home. They serve delicious desserts and also offer sandwiches at lunch. Across the street is the Ehrismann Residence, built in 1926 for a Swiss trading merchant. It was designed by the Chech architect, Antonin Raymond, who came to Japan as an assistant to Frank Lloyd Wright and who is considered ‘the father of modern architecture in Japan’. There is a small cafe inside. Just behind the house are the ruins of another that did not survive the earthquake of 1923. Beside the Ehrismann Residence is home #5, Berrick Hall, a Spanish-style mansion built in 1930. The largest and most impressive property on the walk, it was designed by the American architect J.H. Morgan for B.R. Berrick, a merchant who also served as the Honorary Finnish Consul. From Berrick Hall, continue along Yamatehon-dori. This will be the longest stretch between homes along the walk. Eventually on the left will be the Catholic Yamate Church. If you turn left here, down the street is Yamate 68 Bankan, which was originally rental apartments for foreigners and is now a tennis club house. 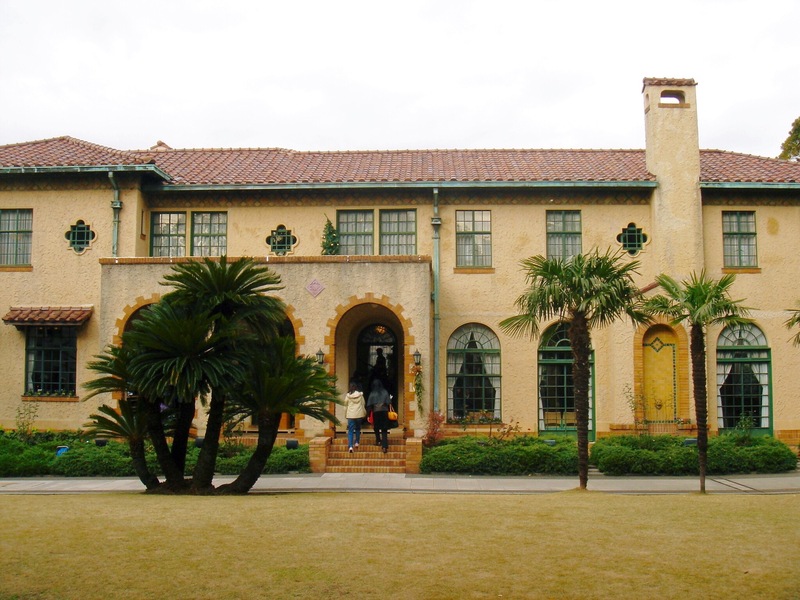 Historic documents are exhibited at the Yamate Museum of Tennis next door. Return to the church and turn left. Follow the street, pass through a traffic light, and make a right at the Italianyama-teien-mae bus stop. Stay to the right and in front of you will be home #6, the ‘Diplomat’s House’. 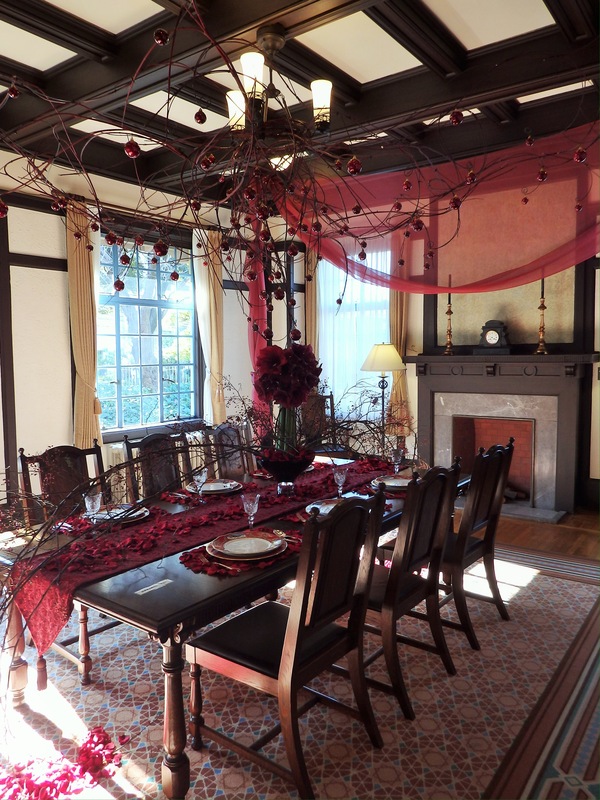 It was the home of Sadatsuchi Uchida, a diplomat in the Meiji Government who served as consul-general in New York during the Meiji & Taisho eras. 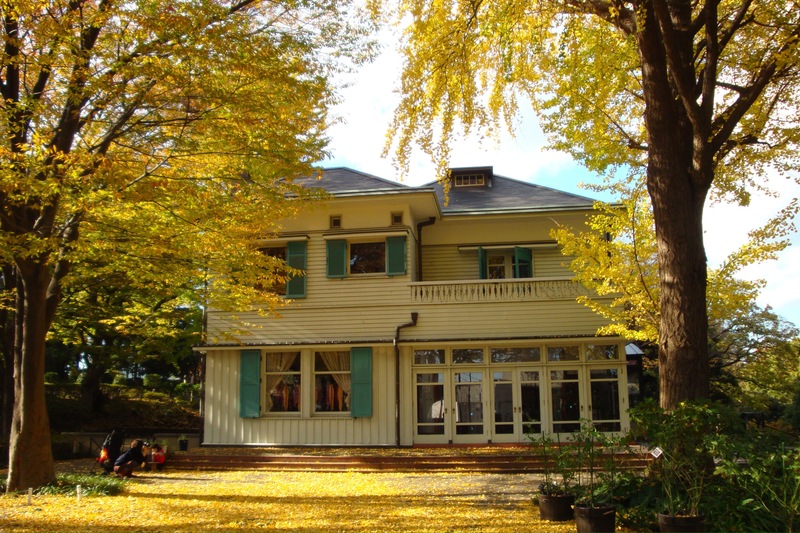 Designed by the architect, James McDonald Garner, the home was originally built in Shibuya in 1910 and was moved here much later. Within this home is the tiny Bluff Garden Cafe, and behind it is a sitting area overlooking a lovely flower garden. On the far side of the garden is home #7, Bluff 18 Bankan. This smaller home was built in 1923 using materials from homes that were damaged, but had not burned down, in the earthquake. Exit from the back of this home and head down the staircase, and then the street, behind it. At the bottom of the hill is Ishikawacho Station of the Keihin Tohoku/Negishi Line (direct access back to Shinagawa). Or, if you turn right, the street leads to Yokohama’s famous Motomachi Shopping Street and Motomachi-Chukagai Station, where the walk began. For an English map of the route, click here. The homes are open from 9:30am to 5:00pm. 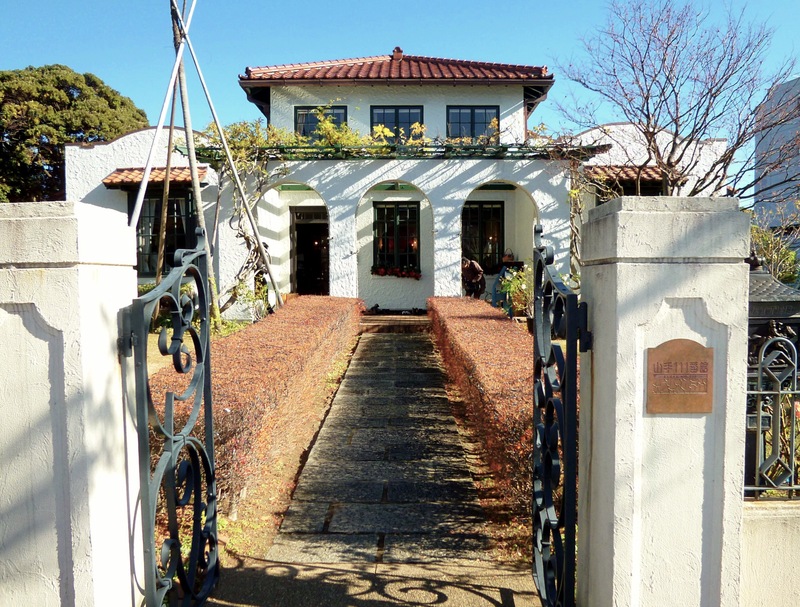 Unless you plan on eating lunch at Yamate Jyubankan or Enokitei, I recommend that you start the walk from Motomachi-Chukagai at 9:15am, stop somewhere along the way for coffee/tea, and then enjoy a late lunch in Motomachi or Chinatown. Or, start the walk after finishing an early lunch. *Note: If you do this walk outside of the Christmas season, the homes are closed on some Wednesdays. *From Shinagawa: Take the Tokaido Line to Yokohama and change to the Tokyu Toyoko / Minato Mirai Line. Take it to the final stop, Motomachi-Chukagai Station. *From Shibuya: Take an express or limited express on the Tokyu Toyoko Minato Mirai Line to the final stop, Motomachi-Chukagai Station. *From the Hibiya Line: Take the Hibiya Line to Nakameguro Station and change to the Tokyu Toyoko Minato Mirai Line to the final stop, Motomachi-Chukagai Station. *From Shinjuku: Take the JR Shonan-Shinjuku Line to Yokohama and change to the Tokyu Toyoko / Minato Mirai Line. Take it to the final stop, Motomachi-Chukagai Station.